In the lowest forms of conjuring, the intention of the conjurer is primarily to satisfy his or her own ego or to assert dominance over the spectator. Here is where we will find the most irrelevant and intrusive sorts of effects. Much of popular magic, even at the professional level, proceeds at this station. At this level we find the pointless, but occasionally amusing, "adventure of the props in the performer's hands", as well as the much less amusing situation where the audience or a volunteer is abused. 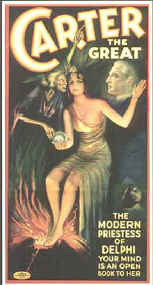 At this stage also, conjuring is imposed on a situation or spectator without regard to its appropriateness. The object of the conjurer is, at best, self aggrandizement, and at worst, exploitation. Here the intention of the conjurer is to create a relationship using skill and understanding. Certain aspects of this skill and understanding are exactly the same whether used by a conjurer or a physician, as proposed in Part One. The object for the conjurer at this level is to establish rapport, manipulating the situation and the spectator's attention to achieve the desired illusion. At this level, the individual ego gratification of the performer is made subservient to the requirements of creating a relationship. The conjurer has begun to consider what the spectator needs as well as what he or she wants. Ego gratification is still an important consideration for the performer, but the progress to a lesser degree of self attachment has begun. The conjurer also has developed the skills of projecting sincerity and artlessness, or has developed the acting skills to be able to simulate them convincingly. At this level, the conjurer has no expectations and no object, having, as is expressed so well in Sufi medicine, "only the duty to convey". At this level the ego has been completely tempered by its antidote, humility. The conjurer/magician is now solely concerned with providing what the spectator needs, and is no longer concerned with commercial concerns or profit motive to "give them what they want." In fact, it could be said that once having achieved this level, the conjurer is no longer a conjurer, but has functionally entered the realm of the mystic. 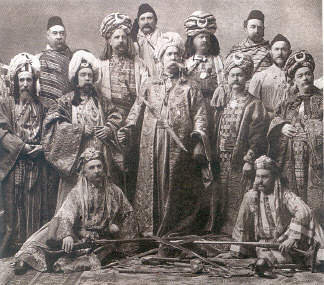 At this level we find the practices of tribal "magicians" in many traditions. In Tibet there is the ngak-pa; in areas of Mexico, the mara'akame: in Bali, the pedanda; in West Africa, the babalawo; and in Siberia, the shaman. The term "shaman" is also now popularly and rather loosely applied to practitioners in the traditional tribal communities of the New World, though it is a word that originated in the Turkic-Evenki language in the regions of Siberia and means "one who knows". Conjuring effects are defined by the creation of an illusion in the mind of the spectator; so, for an illusionist, obtaining the desired effect, whatever the method, is the most important goal. The conjurer is therefore ultimately focused upon and concerned with outcome, by any means necessary. Exclusive concentration on outcome is one reason that most conjuring is low magic: most conjurers are insufficiently attentive to the disciplines of process to raise the level of their performance and make conjuring relevant to their audience. 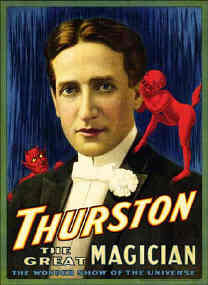 How a particular effect is achieved may be of interest to magicians, but if the conjurer is skillful, the method of the illusion should not even enter the mind of the spectator. As outlined in Part One, skillful process must be mastered for the performer to render the method appropriately invisible, and thus deceptive. It is important to point out that this process is an internal secret for the conjurer, and, as with awareness of method, a spectator should also not even suspect the conjurer's process exists, or the illusion will again evaporate. 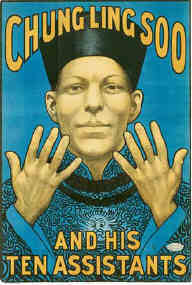 The physician, like the conjurer, is also concerned with outcome. But unlike the conjurer, the physician cannot control the outcome completely, and the nature of outcome in medicine is fundamentally different from that of conjuring. When the conjuring is over, it is finished, but outside of very simple situations (the bleeding has been stopped), medical outcomes are often not easy to judge at a single point in time. In contrast to the repetitive aspect of conjuring effects, the multi dimensional aspect of the medical encounter requires the flexibility and imagination to create a specific solution and alter it as time progresses. The conjurer can practice, but the physician can only prepare. Each situation which presents to the physician is unique in terms of the factors contributing to disease, the nature and constitution of the patient, as well as the contribution of the patient's relationships to his or her social and cultural enviroment. In common with the shaman, the capable physician customizes their relationship and treatment, and cannot produce the same effect reliably as can the conjurer. It is clear that the quality of the process the physician practices has the potential to improve the physician's skill and capability, and may also improve outcome both through improving these skills, and also by strengthening the therapeutic relationship. In common with the spectator of the conjurer, it is not important that the patient be interested or aware of the physician's process. The patient is solely concerned with outcome. The shaman or tribal wizard has duties which extend beyond medicine, but sometimes include the medical realm. When faced with disease, the practice is to determine by subtle processes what needs to be done, and then to perform the required intervention to adjust the situation. Unlike the conjurer, the shaman has no particular interest in outcome. Often the shaman has no specific expectations for outcome in any case, as a realistic perspective requires the shaman to understand that once the indicated intervention has been set into motion, no more can or should be attempted. Seen in this way, healing in shamanistic practice is more purely process. Without a linear perspective of cause and effect, the shaman practices "outside of time", and believes that the future, the past and the present are all one when healing practices are involved. Patient-centered results may be seen at any point from instantly to never by the patient, and so patients are directed not to create expectations or interfere with the process that the shaman has initiated. However, unlike the shaman, the patient remains in a unidirectional timeframe. In a shamanistic healing the patient will be expected to comply with whatever changes that the shaman recommends for that person's behavior, diet or spiritual practice. The shaman's perspective is that they are not responsible personally for either the problems which are brought to them, or the outcomes, because their viewpoint is that these diseases or imbalances are due to many factors in the universe, some much larger, more enduring, and more significant than the shaman. For the shaman, the freedom from fulfilling the delusions of outside expectations and internally created negativities is an important characteristic of their path when higher levels of practice are attempted. This attitude fortifies the fundamental perspective of humility that the shaman seeks to achieve. Physicians also would do well to develop similar goals and attitudes, given the very real limitations on our insights, wisdom, capability and influence. 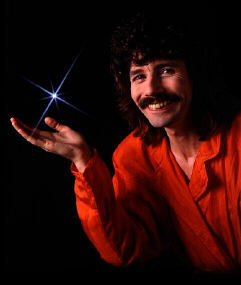 Contrasting the goals and intent of the conjurer and the shaman can be best illustrated by studying the words of Canadian magician Doug Henning. 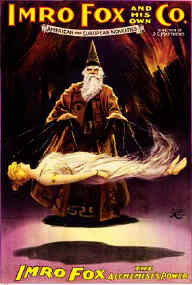 Dr. Henning resurrected conjuring from its comatose state in the 1970's and is perhaps the only conjurer to have made the transition from "high" to "most high" magic. "...I was invited by the Canadian Broadcasting Corporation to perform on Christmas shows for the troops. At one point on the tour, they asked if I would like to do a show for a group of Inuits. We were on the edge of this little town in the wilderness, 400 miles from the North Pole, and about 60 below zero. I cried right then. I've never told anyone this story. I said, 'Thank you for teaching me about the magic. I didn't know.' That was really the first time I knew what wonder was. It was the most memorable thing that has ever happened to me. I never forgot that, inside." Healing, in the shamanistic sense, is fully compatible with the medicine that physicians practice, even though healing is not outcome oriented. Physicians in our society have by training and habit become so focused on outcome that we have not developed our process sufficiently. And, because correct focus on appropriate outcome is related to process, the integrity of the medical profession has often been subverted. By aligning our training with the masters of outcome; the conjurers, as well as with the masters of process; the shamans, it is possible to bring medical practice to a more advanced and effective state. This will require some fundamental changes in the way physicians think about themselves and their relationships with patients.